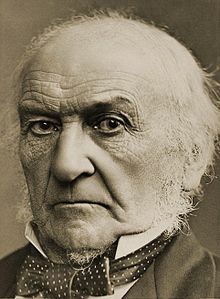 William Ewart Gladstone was born December 29, 1809, and became prime minister for the first time on December 9, 1868, just before his 59th birthday. He would enter parliament for the fourth and last time in 1892, at the age of 82! Prior to his election as prime minister, he held positions as Chancellor of the Exchequer (on three separate occasions), and also held seats in parliament. He had originally intended to take orders in the Church of England, but against his own wishes permitted his father to convince him not to do so. From there, Gladstone became interested in government matters, but the man who would become known as the “Grand Old Man” of Liberal politics began his parliamentary career as a Tory. However, his conversion from conservatism to liberalism took place over the course of a generation. tained in order to convince them to change their lives. Gladstone’s opponent in the government, Benjamin Disraeli, called him God’s Only Mistake, largely for his serious, humorless nature. Queen Victoria also found Gladstone distasteful, and was unhappy when he was elected prime minister on four separate occasions. 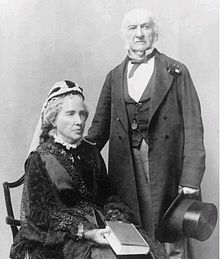 Gladstone was married to the former Catherine Glynne, who was utterly devoted to her husband. 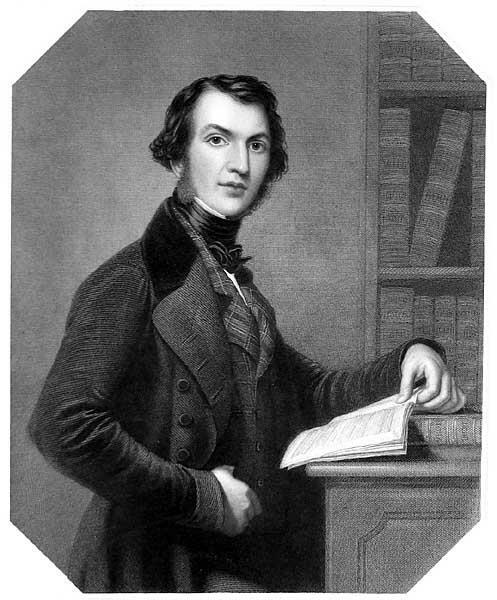 Together they produced eight children, including one, the Reverend Stephen Edward Gladstone, who took up his father’s mantle in the Church of England. He was most known for his fiery oratory, his religiosity, his liberal politics, his clashes with Benjamin Disraeli, and Queen Victoria’s dislike of him. Gladstone died of cancer on May 19, 1898, and is buried in Westminster Abbey with his wife, who died two years after her husband. Mr. Gladstone plays a fairly significant role in STOLEN REMAINS, where Violet Harper must meet with the man several times, and we see the interplay between him and the queen who despises him no matter what he tries to do to please her. I’m glad you enjoyed it, Isabelle.